POTM September 2012 - winner announced! The winner for September is Trekenk with his Arothron Nigropunctatus Goldierocks! Re: POTM September 2012 - winner announced! Thanks so much. Goldie is such a wonderful addition to our family and a real joy to own (she is such a happy girl). I applaud your puffer. I havent been fortunate enough to witness mine fear for its life for no apperant reason yet. Although i did just find a holloween background..I'm crossing my fingers. Oops! Sorry! It's not always easy to guess. ..I am sorry for my english, guys..
Puffer fish puff up as a defense mechanism, as a way to scare off rivals. Any time a puffer fish is severely frightened it will puff itself up to look larger. This is very stressful on the fish. It is not recommended to provoke the fish to puff up. 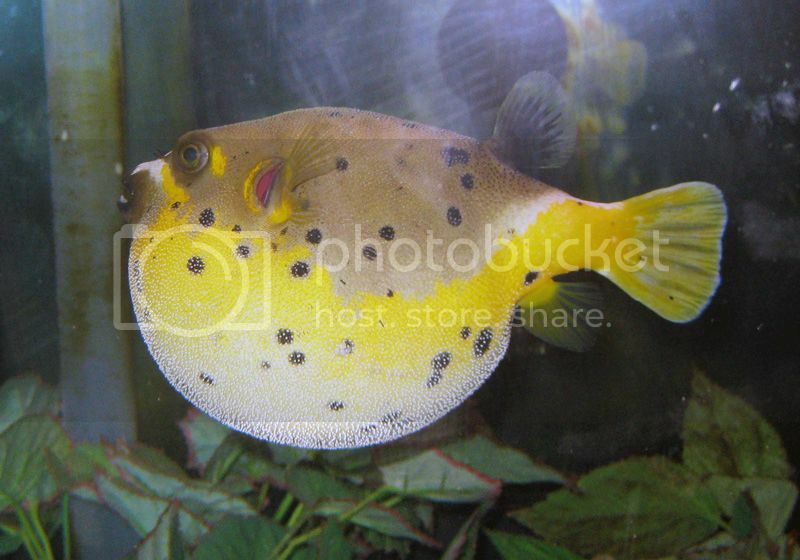 Should not push people to photograph a puffed up puffer. It was a minute well-being tetraodon.